Emily Betts graduated from the BA Technical Arts & Special Effects course last year, and since then has worked on numerous projects for an impressive list of clients, including Coach, Penhaligons, Harvey Nichols and The National Army Museum. We spoke to Emily about what she’s been up to since graduating from Wimbledon College of Arts, her advice for those who want to get into the industry and what she enjoyed most about the course. My first freelance job was working for Set Square Staging in Mitcham. In the time I was there, I worked on a variety of different projects that required different skills. The two biggest projects I was involved in was the creation of a huge dinosaur, made from leather handbags for the luxury leather goods company Coach. 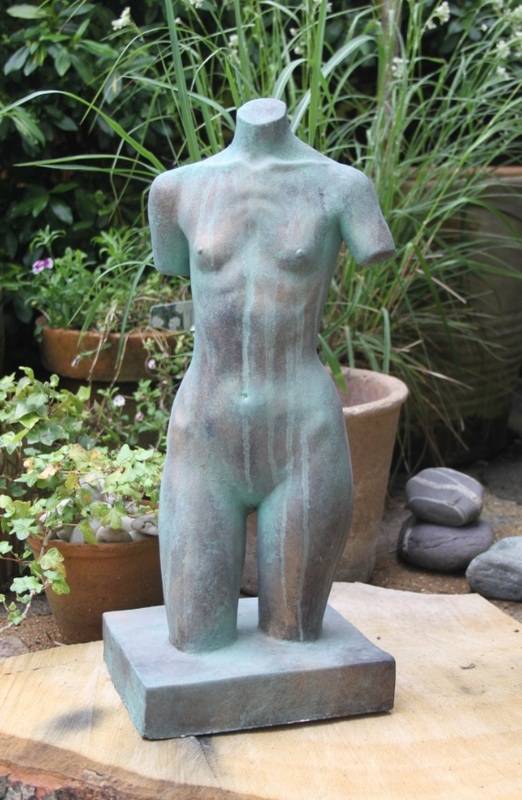 This piece was sent to New York for a new window display last Christmas. The other project was making and finishing different sized stag heads for Penhaligons and their ‘The Tragedy of Lord George Eau de Parfum’. I had the privilege to see these heads in the shop windows of Penhaligons in London and New York just before Christmas. In August, the sculpting company H&H Sculptors Ltd contacted me about a current project they were running. They had seen my work at the Wimbledon Summer Show last year and asked if I would like a job sculpting and I was delighted to accept the position. Whilst I was there, I worked on a vast number of different projects that needed varying skills. The first small project I worked on with H&H was creating some masks for the Christmas displays for Harvey Nichols. The biggest project I assisted with was for the new National Army Museum (NAM). 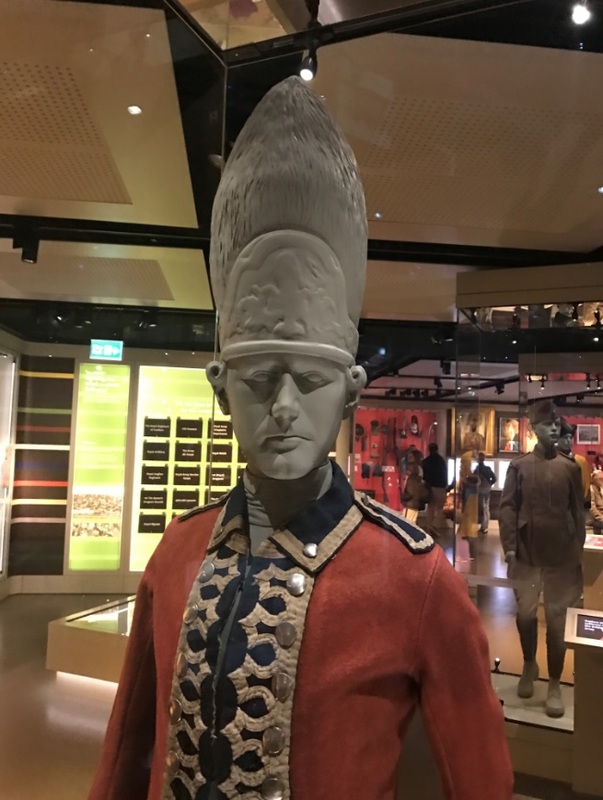 We had fifteen dynamic figures to create to display the original outfits from different eras of military, including a HM Queen Elizabeth II uniform, Lawrence of Arabia robes and a 1st Foot Guards regiment. The figures had to be uniquely modified to fit the original uniforms. Some figures required sculpting realistic items of clothing and accessories, which were missing from the original uniforms. I had the privilege of being given the responsibility of sculpting, moulding and casting some of these items, a Grenadiers cap, WWII boot gaiters, Lawrence of Arabia’s sandals and a modern military beret. I worked on a project for the East Grinstead Museum called ‘Rebuilding Bodies and Souls’. The new exhibit celebrates the story of reconstructive surgeon Sir Archibald McIndoe and the RAF casualties, known as the Guinea Pig Club. I was given the responsibility of sculpting and fabricating a pair of hands and a face. These sculptures represented the life changing burns injuries of the victims sustained during the war. What has been your favourite project you have worked on since graduating? My favourite project was probably being involved in making the figures for the National Army Museum. It was a very fulfilling project to be a part of from start to finish. I was able to use all of the skills I learnt while at university. It was very exciting to be given the responsibility of sculpting, making my own moulds and doing my own casts. I also learned a lot of new techniques which will be really beneficial to me in the future. How did the Technical Arts & Special Effects course prepare you for your current career? The Technical Arts & Special Effects course was one of the most rewarding things I have ever done. I have made friends for life and have learnt so much. I was really lucky to have amazing tutors Allan Sly and Grant Hicks and work with technician Martin Hanson. They were always very supportive and guided us through the whole experience. The course has prepared me technically for my career and given me the confidence to express my skills. Technical Arts & Special Effects taught me the fundamental processes I need to pursue this as a career, including sculpting, mould making, casting and life casting. Before I joined this course I was doing my foundation at Camberwell College of Arts and I was really unsure about what path to take. I can look back now and say I definitely made the right choice and I am thoroughly enjoying doing what I do. I am immensely proud of seeing the work I have created and brought to life in various museums after their public unveilings. My family are very supportive and are always excited to come with me to see what I have achieved. There is something so rewarding and satisfying after weeks or even months of hard work to finally see the work where it rightly belongs. I had a huge sense of pride after seeing the figures I worked on for the East Grinstead Museum. This for me was a very rewarding project as in May 2015 I had an accident where I fell into a fire pit and had severe second and third degree burns to both of my hands. After the accident I was very traumatised and thought it would be detrimental to my career. Thankfully I had the most amazing care from the burns department at The Queen Victoria Hospital. The project made me feel so lucky to be a part of an exhibition celebrating the amazing pioneering work of Sir Archibald McIndoe’s reconstructive surgery and burns treatment. It was mind-blowing to reflect on this for me, because if it wasn’t for his pioneering work I may not have been where I am today. My other proudest moment was watching the BBC London News and seeing the work I did with H&H Sculptors being broadcast on TV. 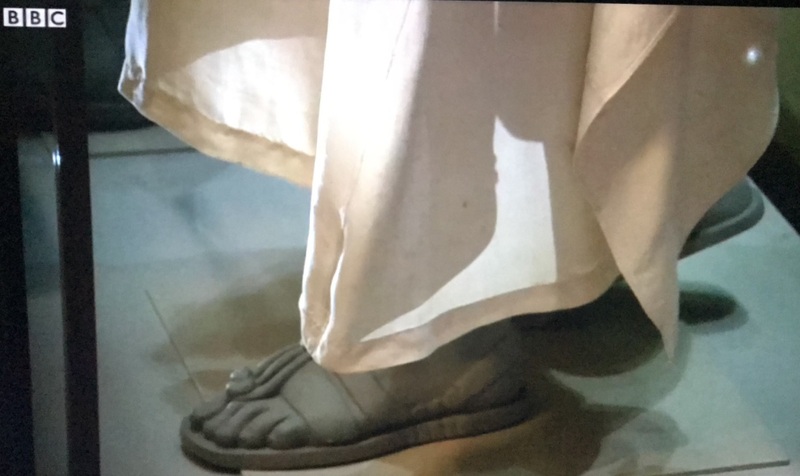 The Lawrence of Arabia sandals which I sculpted were even given a close up, so I was ecstatic! I feel very proud and it has given me more motivation to carry on doing the work that I love. What was your favourite thing about the Technical Arts & Special Effects course? I think my favourite thing about the Technical Arts & Special Effects course was having the freedom to develop our own project in the third year. Before you reach third year, it can seem like a very daunting time. For me, it was always very important to create something I was passionate about and that was personal to me. It was so exciting following my own direction and seeing my final piece come together bit by bit. It was the most rewarding experience following the project through all the different stages, from sculpting right up to the finishing and the degree show build. I was delighted to see my idea and story come to life and receive such a fantastic response from the visitors at the show. It was so amazing to have friends, family and the general public show such interest and support at the Summer Show. I will always remember the feeling of that night and the sense of achievement. One thing I will never forget is that my piece made a lady cry and she said that it moved her so much she was left speechless. When I set out in the third year, on my final piece, all I ever wanted was to create something that would help people relate to my personal story. What advice would you give to someone who wants to get into Technical Arts as a career? Stay passionate and gather inspiration from all around you. The internet is great for quick reference but don’t forget all the other amazing resources we have around us especially in London, such as museums, galleries, libraries, nature, films, TV and games. Take lots of photos, jot down notes, make maquettes and experiment. If you have a crazy idea, follow it through because even if it goes wrong that’s a great way to learn something new. Always document your successes but equally your failures. Get on Instagram and market yourself and your work. Make connections wherever you go and tell people what you do when you meet them because you never know what opportunities will arise. Never give up, stay hungry and passionate about what it is you want to do. Just start making and the skills will come naturally. It’s a hard industry with long hours and commitment but the rewards are so worth it! At the moment I am trying to establish myself as a professional working artist. I am eager to keep on learning new skills and processes. I am very interested in possibly doing another short course to learn more about artistic trades and I would love to try pottery throwing at some point. I have been doing some freehand bedroom wall decorating for friends and family. I really enjoy this as it gives bedrooms real character. I am currently working on a personal project in which I am sculpting a small Viking longboat. This will be moulded and cast for my Grandad’s grave. He unfortunately passed away unexpectedly over Christmas and he was once told that he was of Viking decent and always wanted a Viking send off. So, in his honour and memory I want to do this for him. I have also been commissioned to do a pregnancy body cast. 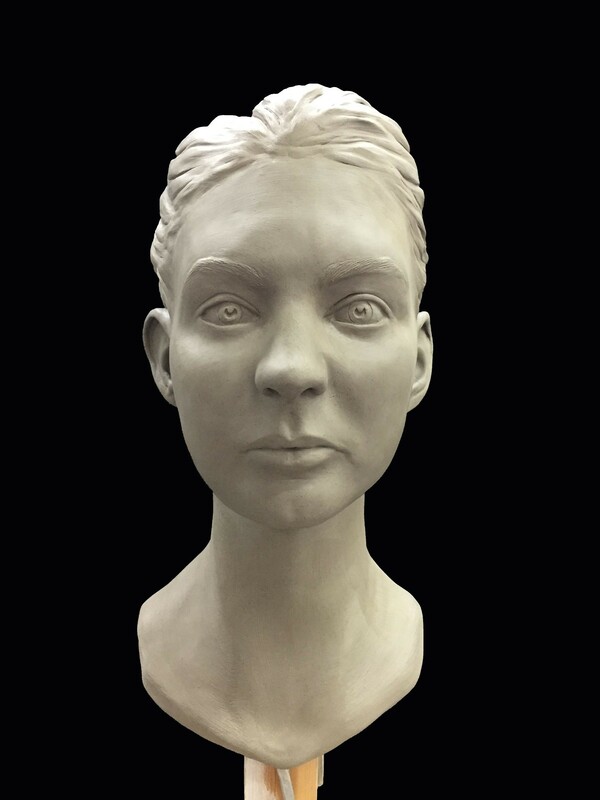 I am super excited about this because I absolutely love life casting and creating 3D memories! You can find out more about Emily and her work by visiting her website or following her on Instagram.